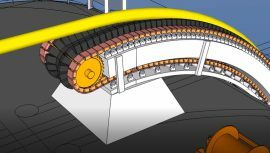 UK marine engineering company MAATS Tech has announced that it received a patent for its latest product, the Vessel Enabler, a modular chute that enables high-tension horizontal cable lay in deep waters and thus eliminates the need for a vertical lay tower or vertical lay system. 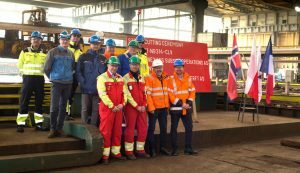 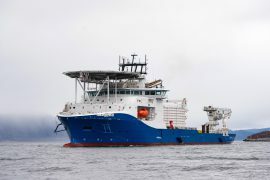 UK engineers MAATS Tech delivered cable-laying equipment to NKT’s newbuild NKT Victoria prior to the vessel’s first project – the Caithness – Moray subsea link in Scotland. 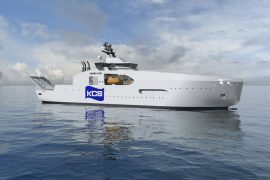 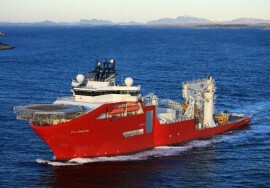 Japan’s Kokusai Cable Ship will add a new Vard-designed cable laying vessel to its fleet in 2019. 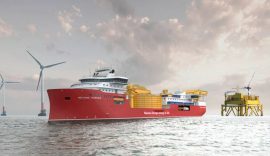 The vessel, currently being built at Colombo Dockyard in Sri Lanka, will be capable of carrying out cable installation for future offshore wind projects in Asia.